Braga is a sleepy city in northwestern Portugal filled with historical monuments and beautiful architecture. The views that open on the hills are breathtaking and the winding cobblestone streets hide architectural gems behind every corner. The Braga cathedral is the centerpoint of the city and presents an intricate mix of gothic and early baroque architecture. 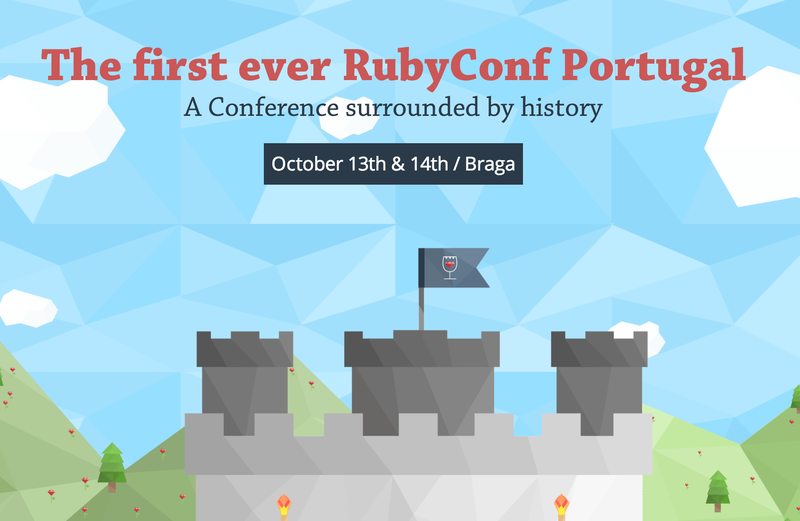 It’s in this magical location that the first ever RubyConf Portugal took place. Ruby developers from all over Europe flooded the historical city for two days of talks, workshops, networking, and fun. There was also great food, a traditional Portuguese band, and even some karaoke. The talks included: “Writing Fast Ruby”, “Ruby’s Gems”, and “Search Your Feelings: Multi-Table Full Text Search in Postgres”. Fyber was proud to be an event sponsor, continuing its support for the Ruby community. It was an amazing conference and we are looking forward to seeing you again at future Ruby conferences and meetups soon, in any part of the world!